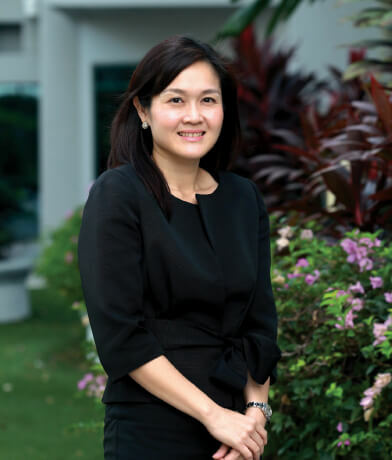 Sarena Cheah, the managing director of Sunway Bhd’s property division for Malaysia and Singapore, is always ready with a cheery smile and firm handshake when you meet her. She shares with City & Country what the company has done and what’s in the pipeline moving forwards. “I think for 2017, there has been a lot of talk about the market being slow, but at Sunway, we have been busy. This year, we have handed over houses and shops that we have sold across all regions totalling 1,800 units. This comes up to a gross development value of RM1.8 billion,” she says. In addition, Sunway Bhd has acquired five new land parcels in the central region with a total estimated GDV of RM5.5 billion, she says. This includes an 8.45-acre leasehold tract along Jalan Peel, Cheras, where they will build Sunway Velocity 2 that will offer serviced apartments, retail shops and offices with an estimated GDV of RM2 billion. A 4.53-acre freehold plot in Jalan Belfield, Kuala Lumpur, will be used to put up mainly serviced apartments with some lifestyle retail units, with an estimated GDV of RM1.1 billion. There is also a 14.8 acre land in USJ 1, Subang Jaya, which, after aquistion, will be used for warehousing and storage facilities for the group’s trading manufacturing businesses. 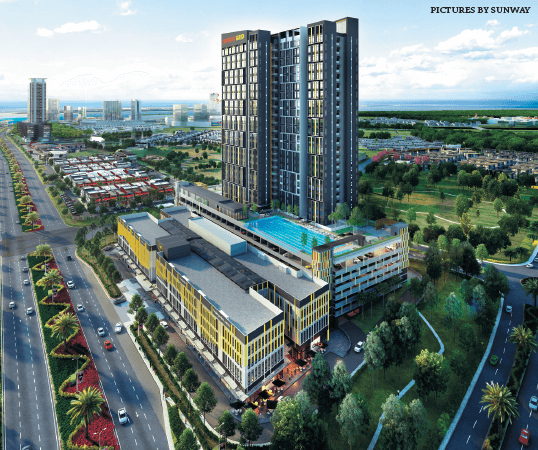 But there are plans to put up a mixed-use development with an estimated GDV of RM1.4 billion on the freehold land. In Kajang, a mixed-use development with commercial and retail lots and serviced apartments or small office, home office (SoHo), is planned for a 5.28-acre freehold plot with some uncompleted structures on it. It will have an estimated GDV of RM460 million. Lastly, there is a mixed-use development in Wangsa Maju on a 4.34-acre freehold parcel. This will feature two serviced apartment blocks with some lifestyle units and will have an estimated GDV of RM500 million. “On the softer side, here in Bandar Sunway, we have launched the Jeffrey Sachs Center for Sustainable Development, which is very strategic for us. Sustainability will be the philosophy that we will adopt throughout the group no matter what business we are in. Sustainability cuts across not only environment. We look at it from three core tenets — one is environment, one is social and one is economic because nothing can be self-sustaining if it cannot self-finance itself,” says Cheah. 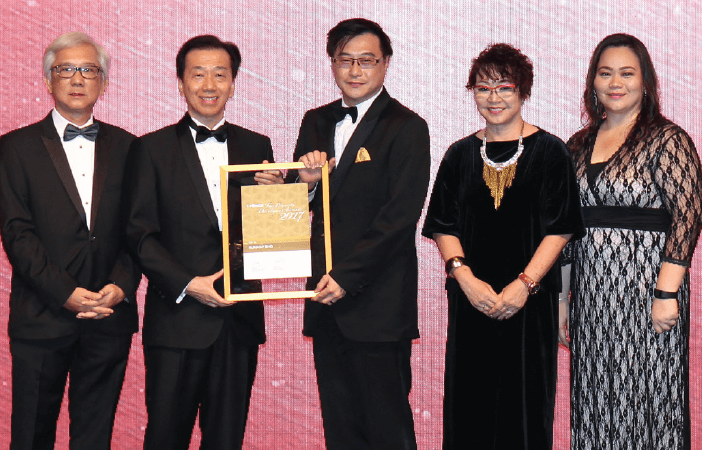 Tan Sri Jeffrey Cheah, Sunway Bhd’s founder and chairman, gifted US$10 million to the centre, she reveals. To encourage new and innovative ideas, the Sunway Innovation Labs or iLabs was set up in Menara Sunway in May. Cheah reveals that iLabs brings together three groups of people ­— the young start-up entrepreneur, the venture capitalists and mentors from various industries. She is hopeful that the collaboration will generate new ideas that can be incorporated into Sunway’s townships. Cheah takes some time to speak to City & Country about the company’s projects and plans. City & Country: What significant projects have you in store for the market? Cheah: We will have launches in every single region including Singapore. 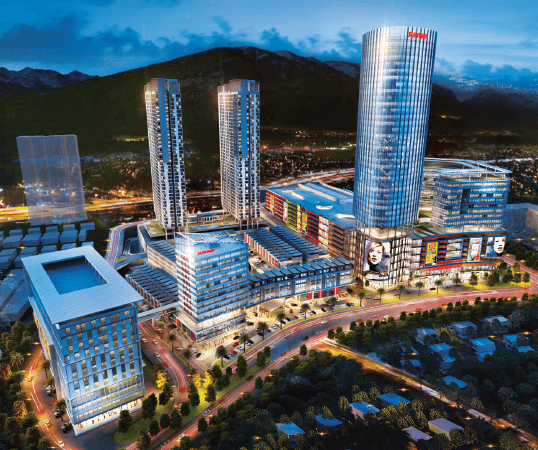 In the north (in Penang), we hope to debut a Paya Terubong project called Sunway Valley City. It will be an integrated development with serviced apartments and shops but anchored by a mall, college, offices, a 3-star hotel as well as a medical centre. We are on track in getting the approvals for the medical centre. In Ipoh, we are going to launch our first serviced apartments with hot spring water piped in. It will be called the Lost World Service Apartment, located close to the Lost World of Tambun, so residents can enjoy the scenery of the limestone hills and at the same time, we have the piped-in water, especially to all the common areas. The units will be in the affordable range and will not be too big. In the central region, we will have a lot of launches, but the more immediate one would be at the new lands we bought. One, which is next to Sunway Velocity, we call Sunway Velocity 2. There will be primarily serviced apartments and offices as we already have all the anchors on the Velocity side. We will also be launching our condominium in Sunway South Quay, in Bandar Sunway, which is opposite Sunway Medical Centre. We held that back for some time because we wanted to wait for the right time and that was when the medical centre we have opened up with 600 beds. Also when we announce our newer medical initiatives later on, we believe that will encourage the medical and wellness living space for this particular product. It won’t be aged care-related but normal residential units and we will see how to tie that in with the fact that it is close to the hospital and arranging it so that you can have medical care at your doorstep. This will happen next year, but it depends on the market. We also bought land in Jalan Belfield in Kampung Attap. This is about five acres and we are going to put serviced apartments there. It overlooks the old Istana and is very close to the city. At the same time, we have entered into a joint venture in Wangsa Maju with a landowner. The land is over four acres and we will launch next year. Again, serviced apartments with retail components — a mass mid-range product. There is Citrine … the retail component is about 90,000 sq ft. We are hoping to get our tenants to open by year-end and about 70% of the space has been leased. It will be anchored by Jaya Grocer, which will take up close to 20,000 sq ft and it will open by end of this year ... and this is important because our office suites sold out. A lot of people say Iskandar is overbuilt, what are you going to do? In the end, it is the products. We have our office suites and our shops fully sold. So sometimes, it is the type of product and how we position it. Of course, residential offerings are still a lot but we are having sales ... a lot of times people are asking what is next. How we want to differentiate Sunway Iskandar from everybody is if you go to Iskandar now, what you want to buy, we have. We are like a supermarket, a one-stop centre ... you want landed, town villas, serviced apartments, condo, shops, small offices, bungalows, semidees, cluster ... we have everything. At the same time, we also have the investment products, we have the school, and we are doing the Big Box concept, the X-Park, and also expanding the school and attracting more schools. We are also planning for a hospital; we already have the licence. In Iskandar, there is the river, the straits, and it is close to Singapore so retirement living is a huge opportunity there. So we went down with our medical CEO to see how we can do senior living there. For retirement spaces, it is important not to view it as a property development business but a medical health care and a wellness business. We are going to allocate a lot more investment capital in this space. Big Box is large format retail space, about 500,000 sq ft gross floor area. So for example, you can have an experience of a whole basketball court in the middle of a Nike store, or have a full selection of what the shop can carry. How do we attract the retailers? We give them a large format, of course, it will be a cheaper rent than a normal mall. But it will be designed with a very rugged feel. Will you be moving more into investment property? We may. Because the investment product is run by us as well, we are also enjoying the yield. Hence, it makes sense for us to go there and I think going into investment products is a normal evolution for any developer. And also with the REIT as well, which helps us through the property cycle. That is why we are strong; we don’t think we want to overstretch it because we still need time to develop our service levels for the different products. But the beauty of it is being able to enjoy development profits, investment profits as well as operator profits, which gives us the edge of having the liberty to manage what kind of products we want to put out in the market. What are your strategies during this soft market period? The strategy for us is to review our products and put them in the right price range. Because we don’t have cheap land, we buy at market price, so the strategy would be to launch it fast enough at the right product range. For townships, we will take a longer-term approach. For standalone projects, we will put it out at the product range that we feel will sell. On the other hand, there is the issue of financing. We have launched a Certainty Campaign. We are fortunate enough to have a moneylending licence, but I think it is really about giving people options. We have actually opened that up to people who may like to pay their deposit now. Upon the completion of the product, if he or she cannot get a bank loan, then we will give a loan until you want to change back to a bank loan ... because we are pricey as we are not a bank. But we are giving people options. And I think that has helped. It may not have spurred a lot of sales but if you ask me, we have salvaged the minimum 10% who are real buyers who wanted to buy but were really concerned about the loan. These would be typically people who would live in the unit, not investors.